Amazon Direct Publishing has enabled a lot of authors to get their writing voices out there. One independent author who has published a number of thrillers over the past year, is John Locke. 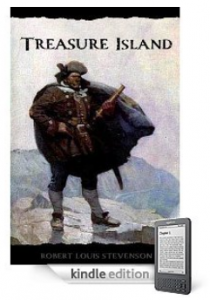 Locke joins major authors such as Suzanne Collins and Stieg Larsson as the eighth member of the Kindle Million Club. Locke describes how his successful marketing strategy in his book How I sold 1 Million eBooks in 5 Months! He does it in a clear and concise way. One important thing that I took from his book is that if you want to sell books, magazines, or even blogs, you need to figure out your target audience. If you can find a good niche, that’s a huge step. Also, utilize social media tools such as Facebook or Twitter to actively reach out to fans. With the exception of 1 Million Books, Locke’s books go for .99 each. With a lot of bestselling ebooks going for $9,.99 or up, this is an amazing deal. Saving Rachel is one of Locke’s top selling books and belongs to the Donovan Creed series. This ebook sends the reader on quite the ride as killers give a man the choice between his wife and mistress. Sam Case messes with the wrong people when he hides money from mobsters and terrorists like Donovan Creed. The plot is pretty outrageous, but it is a matter of preference. Speaking of outrageous, another one of Locke’s books, Wish List, certainly also falls into that category. I cracked up at the main character’s name, Buddy Pancake. Buddy and his friends start making crazy wishes from a Wish List website without really thinking about the consequences of those wishes. On another note, Locke also wrote the Emmett Love Westerns. These are set in mid nineteenth century Western United States. Follow the Stone has met great success. So, if you need a break from Locke’s thrillers or prefer westerns, these would be a good series. You’ll find touching themes and great characters. So, as you can see, it is very possible to have great success at publishing ebooks on Amazon. This is great for those who would otherwise not get a shot with the major publishing houses, however, there needs to be more control over Kindle publishing so that all authors can get the merits they deserve and compete with the big names. You can get the Kindle and Kindle DX version of Alfred Hitchcock’s Mystery Magazine for $2.99, which is the same as the print edition. There are 10 issues a year, with two issues coming out as double issues. 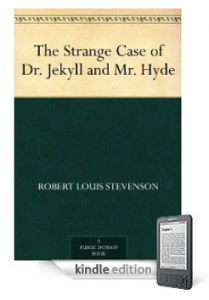 There has been some debate about the prices being higher on the Kindle version than on the print edition. Dell Magazines, the publisher, explained in a review that in terms of yearly subscriptions the prices come out to be the same. 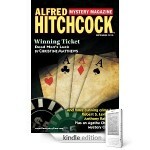 Alfred Hitchcock’s Mystery Magazine was founded in 1956, and is the second oldest mystery short story magazine in existence, according to the short history synopsis on the magazine’s website. Some notable authors for AHMM include Martin Limon, Jane K. Cleland, Loren Estelman and other well known and emerging writers. One particular author that you might recognize, Dorothy L. Sayers, has contributed to AHMM. She recently published Whose Body? (Lord Peter Wimsey), and it is available for just 99 cents on the Kindle. Each issue contains original articles that range from short stories to novellas. The mystery, crime and suspense genres are all pretty well covered. Each issue also features regularly occurring columns: “Books & Printed,” a book review column, “Reel Crime,” a movie and television column, puzzles, contests and “Mystery Classic”, a story from the genre’s past. This month’s issue covers several interesting topics. One topic centers around the effects of crime on the victim’s family. Within this topic, two of the stories deal with how crime has affected children left behind. Another set of articles address the complexities of the criminal justice system in the United States and around the world. The magazine’s website has excerpts on the latest issues and information about other fun awards and events going on. Overall, the reviews of Alfred Hitchcock’s Mystery Magazine were really good with the exception of the price tag. The magazine reads like a digest, and is similar in size to the Kindle 2, so the transition from the print to Kindle should be a smooth one. The Kindle saves a lot of space and makes the magazine a lot more portable.